PRP or “Platelet Rich Plasma” is your own (autologous blood) with concentrations of platelets about 15 times more than normal blood to accelerate cellular regeneration and tissue repair. Platelets, also called “thrombocytes”, are a component of blood whose function along with the coagulation factors is to stop bleeding by clumping and clotting blood vessel injuries. The blood clot is only a temporary solution to stop bleeding and tissue repair is needed. The mechanism of repair starts by cytokine and growth factors. Platelets release platelet-derived growth factor (PDGF), a potent chemotactic agent; and TGF beta, which stimulates the deposition of extracellular matrix; fibroblast growth factor (FGF), insulin-like growth factor 1 (IGF), platelet-derived epidermal growth factor (EGF), and vascular endothelial growth factor (VEFG). Local application of this growth factor rich “cocktail” in increased concentrations through Platelet-rich plasma (PRP) is used as an adjunct in hard and soft tissue repair to stimulate cellular proliferation and tissue regeneration for optimal healing and rejuvenation. Plasma is essential for cell survival as it contains nutrients, vitamins, hormones, electrolytes and proteins. Proteins are key molecules for the coagulation process and the formation of the fibrin polymer that will serve as a scaffold for cell migration, differentiation and proliferation. Platelets (together with the liquid plasma in PRP) are body’s natural response to injuries and contain a large amount of growth factors that induces accelerated tissue regeneration and proliferation. Platelet-Rich Plasma have been used in dentistry, orthopedics, sports medicine, wound healing, and have evolved to address aesthetic concerns such as facial and breast rejuvenation and hair restoration; physiological concerns such as Overactive bladder (OAB), Stress Urinary incontinence (SUI), and sexual wellness for women and men. The process begins with blood draw of 10-50 cc depending on the area being treated and your blood is spun in a special centrifuge to separate out the plasma and platelets. This autologous platelet rich plasma has a platelet recovery of 80% and at a concentration factor of 1.6-fold than normal blood. Due to special technology the granulocytes part of white blood cells are strongly reduced to more than 96%. The rich cocktail of growth factors is injected or applied back (with microneedling) into your face or scalp to stimulate stem cells to create new, youthful tissue. . PRP procedures are minimally invasive with minor discomfort with minimal down time. Since PRP is extracted from your own blood, it alleviates the risk of allergic reaction, rejection, or major complications. Knee and shoulder joints for regenerative purposes. At Ocean Pacific Integrative Health Center, ONLY the Aesthetic PRP therapies are offered at this time. To find out if you are a candidate for PRP, please call our office at 760-944-9300. PRP contains concentrated platelets in plasma which is about 15 times more than normal blood. Platelets, also called “thrombocytes”, are a component of blood whose function along with the coagulation factors is to stop bleeding by clumping and clotting blood vessel injuries. The blood clot is only a temporary solution to stop bleeding and tissue repair is needed. The Platelets contain variety of growth factors such as PDGF, TGF beta, FGF, IGF-1, EGF, VEFG plus cytokines and adhesion molecules that recruits your bodies “stem-cells” at the injection site and facilitate regeneration of tissue (collagen, elastin, blood vessels, nervous tissue, cartilage, etc.). 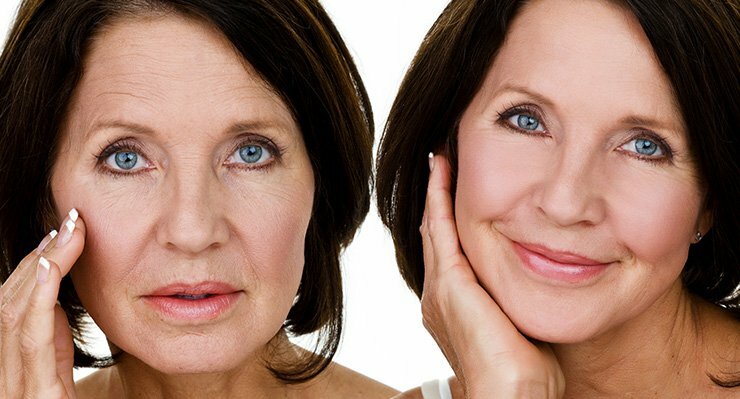 Annual PRP procedures could be helpful to address the normal on going cellular degenerative aging process. How are the Platelet Rich Plasma (PRP) procedures done? PRP is delivered either by syringes with specific gauge needles like Botox and Fillers or applied during or immediately after micorneedling. Are Platelet Rich Plasma (PRP) procedures FDA approved? Since PRP itself is not a drug, it is not require FDA approval. So it is not approved or disapproved by FDA because PRP is not a drug at this time. The PRP harvesting kits that are used in the process are considered safe by FDA PRP has been used safely and effectively at regeneration, healing and rejuvenation in many different medical specialties and the list keeps on growing. Is the same volume or dose given to everybody? Due to platelet variability between patient to patient, the dosage of the PRP will also be different. The PRP harvesting system special technology that is used at Ocean Pacific Integrative Health Center concentrates your PRP to about 15 times more than your normal blood with reduced granulocytes part of white blood for optimal tissue repair. Are there any Special Preparations before having a PRP procedure? In order to achieve best results and decrease side effects, we ask that you read and comply with the following instructions. Avoid Alcohol 7 days prior to PRP treatment as alcohol diminishes stem cell release. No topical agents that may increase skin sensitivity or dryness 7 days prior to treatment such as topical retinoid or hydroquinone products, alpha hydroxyl acid (AHA) beta hydroxyl acids (BHA), exfoliating masks, or benzoyl peroxide acne products). If history of cold sores, you should be on antiviral agent for 7 days prior to and at least 3 days after treatment. No NSAIDS or steroid medication 7 days before and 14 days after the treatment as these agents will diminish the clinical outcome as platelets work by causing inflammatory cascade for tissue repair. You may take Tylenol or pain or discomfort both before an after without diminishing efficacy of PRP. Those patients who smoke, quality of PRP will be lower due to diminished stem cell release. Is PRP Treatment for everyone? PRP is safe for most individuals above 18 years of age. However, there are very few contraindications and patient with any of the following conditions are not candidates for the treatment. Cancer: includes SCC, BCC and melanoma, bone, hematopoietic or metastatic cancer. Are there any adverse effects of PRP treatments? Erythema and red appearance of the treatment area. Severity will depend upon how aggressive the treatment was performed and how your skin reacts. Skin will be pink or red and may feel warm, like a mild sunburn, tight and itchy which may subside in 12-24 hours. Hyperpigmentation (darkening of the skin) rarely occurs and usually resolves itself after a month. Herpes flare up if you have a history of outbreaks and you are not on anti-viral therapy before the procedure as indicated on the Pre-Treatment instructions above..
Be your own kind of beautiful…Naturally!